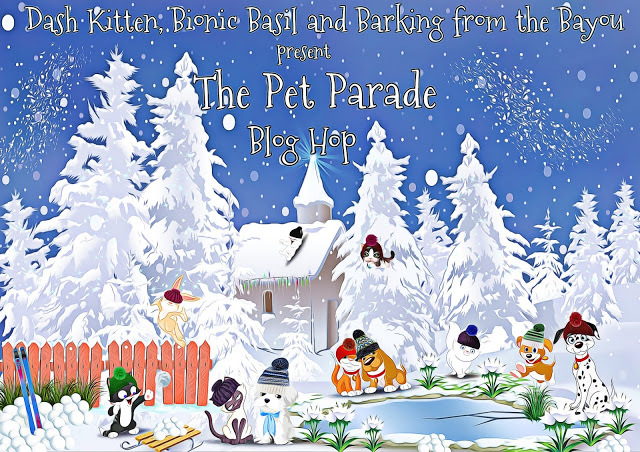 This entry was posted in Art, Blog Hops and tagged Athena's Caturday Art Blog Hop, Emmy, Lunapic, Sammy, the pet parade blog hop by pilch92. Bookmark the permalink. I’m glad you cleared things up about the hangurger! You have made a new constellation – Sammy Major! Emmy, enjoy your hangurger. Bete’avon (bon appetit in Hebrew). Sammy I really love that hat of yours! Emmy has her own book coming out – soon all of you will be famous kitties. Ohhhh my cats you ave a new book coming out! That is so very exciting! Oh goody, Emmy has a new book coming out. That is good news. You all have a really good day. I am pretty fond of cheeseburgers myself, Emmy. A hangurger with cheese! I got so excited about Emmy’s book and cheeseburger I forgot to tell Sammy how cool he looks with the wintry edit on his picture! Lookin’ good Sammy! I look forward to the book! How exciting. Purrs, hugs and have a great weekend! Cool Sammy art and super cool about the Emmy book! As Grandpa sometimes tells Grandma, if reincarnation is real (and he knows it isn’t), he wants to come back as one of her pets. The same could be said for you, you take such good care of them. I had to chuckle over your pronunciation of hamburger. Hubby calls it hangaber. To each his own. Congratulations on getting Emmy’s book accepted. The art is pretty. Emmy, you have a good mom, to take care of your needs. Mmmmm, you’re making me want a cheeseburger. Congratulations on publishing! I wish you all the best. And isn’t it funny how we ‘baby talk’ to our pets? Sometimes we call Jezebel our Jezza-boo-bunny-bear. To Tilly’s name I might tack onto it to make Silly Tilly Willy. ~grin~ Be well! Fun artwork! We never know where Mom gets some of the words she uses!!! ConCats on the new book! Congratulations on the book! Darling art today. Thanks for clearing all that up, Emmy!! Oh, another book, how exciting!! Emmy getting a new book out is exciting! We are having hangurgers for lunch tomorrow. Huge concatulations on the new book!!! Wow, Emmy! Congrats on your upcoming book! Whoa! Emmy, I’ve never seen a hamgurger or a hamburger. Concats on your book getting a publisher. Hangovers, MOL! Well one thing we can say is that we love to change where we eat (except fer IZA) and TBT will follow us around with our food bowls until we decide on “the right spot”. Hangurgers! New Books! And BEAUTIFUL starry art! She likes it up there and Trouble does too. This post makes me so happy in so many ways! First of all, Sammy, you make for a purrfect wintry masterpiece. Second, I am so excited for Emmy’s children’s book. She sure deserves that entertainment center throne, and her breakfasts in bed. That all being said, I cannot wait to add each and every one of your stories to my library! Sammy, what is on your noggin, mancat?